And then the problems began. Their first application for a generation licence was rejected by Nepra. 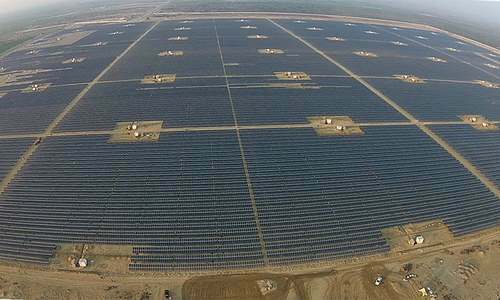 ONE of the more exciting of the CPEC power projects to be undertaken on priority in Pakistan was the giant solar park to be built in Bahawalpur. It was part of the Quaid-i-Azam Solar Park and was part of what they call the ‘early harvest’ projects, meaning the first to come online. The first MoU for the project was signed in August 2013 between the governments of China and Punjab. The provincial government owned the project, and in the first solar power plant that was inaugurated under it, the provincial government was also a joint venture partner with a Chinese contractor. Later in July 2014, another MoU was signed between the government of Punjab and private Chinese developer that expressed an interest in setting up a 900MW solar plant in the same park. This MoU was signed in the presence of the prime minister in Beijing. Things moved fast initially, due to interest in the project at the top. The Project Commitment Agreement was signed a week later, again witnessed by the prime minister and both sides agreed to a tariff of Rs14 per unit outside of taxes, along with the timeline. In August it was placed on the early harvest list and prequalification documents were submitted, and a letter of interest from the Punjab Power Development Board was issued in September. On Jan 22, 2015, the power regulator and tariff setting body Nepra announced a revised upfront tariff for solar projects at Rs14 per unit for the first 10 years of operation, and this tariff was notified in the official gazette on July 1, 2015, with the stipulation that this offer would be valid for a period of six months, until December 2015. The project sponsors applied for a generation licence under this tariff regime. 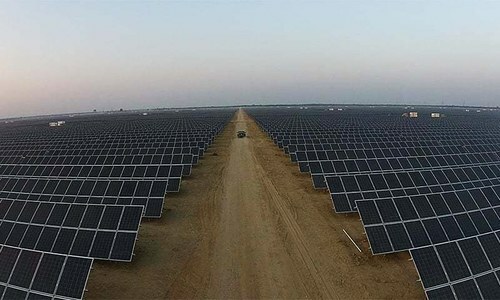 Meanwhile, land allotment had already been done in April, for the first batch of 300MW worth of solar power, and in May, the second batch of 600MW also received its allotment. In May the feasibility studies were done for the first batch, and June saw the feasibility for the second batch of 600MW approved. And then the problems began. 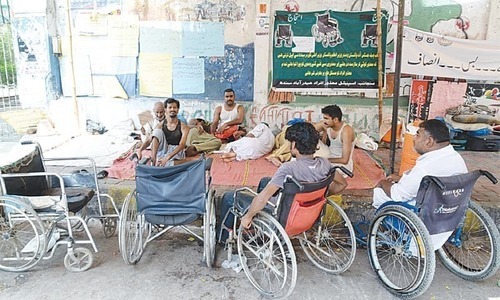 Their first application for a generation licence was rejected by Nepra on July 14, 2015, on the grounds that a duly approved grid interconnection study has not been included. 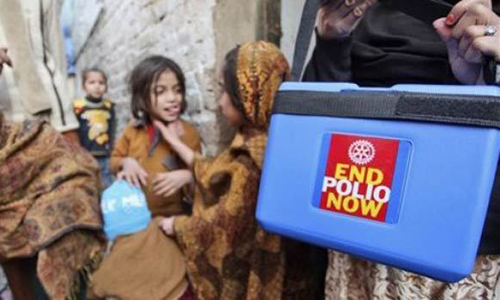 The sponsors pressed NTDC to expedite its approval of the study, and on July 24 received a reply that their study has been ‘vetted’, that concerns of NTDC have been addressed, but the report should be sent to the Central Power Purchasing Agency and the Multan Electric Power Company (Mepco), whose transmission facilities would be used to evacuate the power. The approval from NTDC was received on Aug 17, and three days later, the company again sent an application for acceptance of the tariff and grant of permission to proceed with project execution. Then things started to go from bad to worse. To cut a long and detailed story short, when Nepra received the NTDC grid interconnection approval, it objected that this had been issued without a final report of the consultant on renewable energy in the national grid. Therefore, Nepra said in a letter dated Oct 5, 2015, the NTDC certification of the grid interconnection study is “not adequate and useful for the Authority” and asked for the grounds on which these certificates had been given in the absence of an overarching study on the induction of renewable energy. In all previous communications with the project sponsors, Nepra had made no mention of this. I will surmise that this letter fell like a bombshell on the sponsors. A few more letters were exchanged, where NTDC explained that issuing a certification on grid interconnection for a specific project was a different matter from an overarching study on the role of renewables in the total energy mix of the country. But on Oct 28, Nepra demanded “complete detail of all the solar projects awaiting approval” before proceeding. On Nov 4, NTDC wrote back that the details demanded were being prepared, and that “approval as well as certificates for power evacuation in respect of above mentioned three solar projects already given be considered withdrawn”. In December, the tariff expired, and Nepra determined a new, lower tariff for solar energy. The project sponsors went into litigation, and won an order from the Lahore High Court that Nepra should hold another round of tariff hearings for this particular project, which was approved to enter under the old tariff regime, and that the grounds on which its application was rejected were baseless. The sponsors are now waiting for a date when Nepra will hold the next hearing, and matter will begin all over again. This is the tale of one CPEC project. It’s easy to assign blame when reading the simple facts of the story, but it must be remembered that the original upfront solar tariff that Nepra had granted was one of the highest in the world, and was based entirely on cost structures provided by one party — the QAS (Pvt) Ltd, which is a joint venture between the government of Punjab and a Chinese group. That party is now enjoying the benefits of an extraordinary Rs17 per unit tariff, where the competitive price of solar in the world today is closer to Rs4. Meanwhile, all the other parties that were in the queue for that tariff are today licking their wounds. 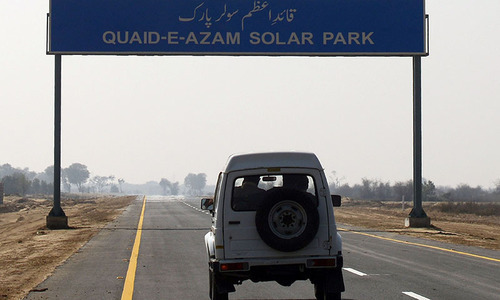 Why is the govt privatising the Quaid-e-Azam Solar Park? Wheels within wheels, intrigue within intrigue, who can make sense of such nonsense? Does NEPRA realise that if people don't get electricity, its own existence and efficacy will be questioned? Instead of being proactive it is acting like a babu! Chinese are business people who are taking up projects under CPEC for profiteering. And Chinese Government wants to improve their economy by using the slack in industrial activity to avoid financial defaults.ost of the private companies in China are in deep debt, one of the worst in the world. What a superb analysis ,does this kind of things happen in developed world? Isn't it a story common for each and every project under this government with flag bearer being the Nandipur power project. Only the Lord knows how much they are being paid for granting of these very high tariffs. The usual teething problems on. Mega $55 bn project. But when on line, it will be prosperity take off fest. Insanely high tariff. Panel prices have fallen by 35% in last 2 years. This should lead to renegotiation of tariff as the construction hasn't begun. 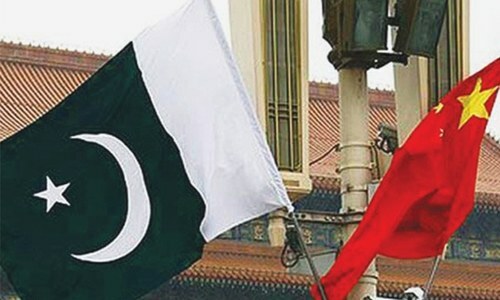 Pakistan & China friend ship zindabad. I would not blame China. It's kickbacks and palm greasing increases the cost of any project, be it Pakistan or India. Why blame capital investors. No one is in a business to do charity. Chinese solar panels are of inferior quality. After installing cheap equipments, chinese company will mint gold at the rate of 17 per unit..
CPEC is a win win for China and Punjab. Looks like the wheels are falling of CPEC? This rate of 17 pkr per unit which is equal to 13 Indian rupees is completely disastrous for manufacturing and exports that too before taxes.Compare this with Indian rate of around 8 pkr or 5 INR including most taxes.Who will use this electricity if his half of the income goes towards power bills?If these type of 'fruits' and 'windfalls' are promised under CPEC then I am afraid this project will be a certain game changer and fate changer ,albeit of Chinese style. A perfect picture of how things work in Pakistan. Good article. Simply perplexing .... why NEPRA requires overall view, when everybody knows that more the renewables, better it is for everybody. Moreover, let us be clear, Chinese contractors/vendors are not here to provide any free lunch. Let us recollect Mr. Irfan Husian's article titled "No free Chinese Lunch" published in THE DAWN on 2.5.2015 . He cites a very expensive Chinese expressway project in Sri Lanka. As per him, the Outer Circular Highway connecting the Colombo airport to the Galle Expressway, financed by a Chinese loan and awarded without competition to a Chinese firm, is going to cost US$72 million per kilometer. In contrast, he says, the Southern Expressway connecting Colombo to Galle, financed by the Asian Development Bank and Japan, cost US$7 million per kilometer! Let us make our own conclusions! Good article. The high tariff allocation was the incompetency at home. When NEPRA allowed this high tariff at that time world was around 5.9cent/KWh based on PV solar generation. Solar PV price is going down exponentially. Now for this time NEPRA to remain vigilant. This is 21st century not 1994.
a) Pakistan's RE market; b) dynamics of RE economics; and c) latest trends in the global RE market. For instance, I'd hardly question Khurram's insightful op-eds on economic policy. 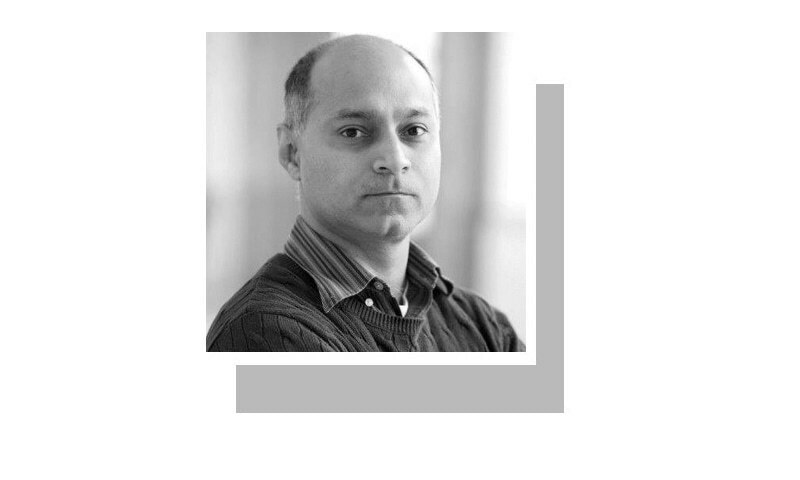 But while writing this piece he's completely missed the point that solar tariffs ARE determined -among other things- on the bases of macroeconomic stability in the country and unfortunately, because of high CAPEX in our country the prices are high. Secondly, it's quite misleading to say, "the competitive price of solar in the world today is closer to Rs4." No. It is not. 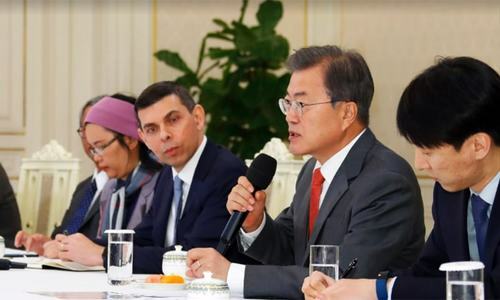 A few auctions in Chile, Mexico, and UAE have proven that it would be possible to further reduce the cost, but author's generalization is unjustified. The prices differ greatly across the globe mainly due to macroeconomic env, domestic production of PV panels, AND the tariff determination mechanisms. QAS is not a joint venture. It is 100% owned by Punjab Government. @Sheeda Tully Are you ready to pay Rs. 17 per unit.? Or would like to have load shedding. Common man of Pakistan simply can't afford it. Also note Rs 4 in the rest of the world. Laughed so hard when I read govt of punjab (READ: NS & co.) Ofc they got the special tariffs, who else would! 3 words to say "Failure of CPEC"
Seriously 17Rs/unit? Are you guys nuts. I guess its just the generation cost, right? What would be the final price after transmission cost + taxes? 25-30Rs/unit? No wonder why chinese are putting their money in Pakistan. The Cabinet Committee on Economic Affairs, chaired by Prime Minister Narendra Modi has approved scaling up of budget to Rs 5,000 crore for implementation of Grid Connected Rooftops systems over a period of five years upto 2019-20 under the National Solar Mission (NSM). This will support installation of 4,200 MW Solar Rooftop systems in the country in the next five years. The World Bank said it would lend India more than $1 billion for its huge solar energy programme. That's why we need to get rid of Nawaz govt and vote for Imran Khan so this corruption can stop. When we have friends like Chinese - who really needs enemies ? Speaking against CPEC is being taken as 'gadder' to the nation - Kudos to Dawn for standing up for our nation ! Its high time all CPEC projects are audited by an independent authority - consisting of all eminent non-political personalities. Why should the nation bear the burden of NS stupidity and make us in debt forever. with respect, why does the author expect everything to work at once? It seems to a naive and superficial way to view a major project like this. All major projects have these types of issues, as anyone in Pakistan who has ever tried to buy land and build a house can testify. Teething issues are a given, especially when you add in the Pakistan factor as a developing country where nothing is done easily. So frankly I am not surprised, nor should anyone be. However in the long run bringing Solar Power to Pakistan is an important project for the future of power generation, therefore it does make long term sense. It is 2016, where information medium are more advanced. If it was in 1990s, Pak politician would easily get their reward. Now everything will come under scrutiny. Its a different world now. Why do we want expensive renewable energy when we have loads of cheap coal at our disposal? Let's face it; solar energy is expensive, albeit good for the environment. But can a country like Pakistan afford it, specially when you can producer cheaper energy through fuel-fired and coal-fired plants? It is better not to have such expensive electricity. @SM87 : But they are still not going to be Rs. 17 or Rs. 14 per unit. That is like running power plants on diesel. @cw : Rs. 17 per unit is the generation cost before taxes etc. So after all the taxes and transmission losses, I would expect the cost for the consumer to be in excess of Rs. 25 per unit. For a common reader please clarify levellized tariff and also the cost of Rs 4/kwh is a different tariff regime. lol, good one, I remember the saga of LNG import, we had a similar musical chair game between various government departments (PSO/NEPRA/OGRA/Ministries etc) and finally we started importing LNG. Why not PM include small and medium sized low cost hydel projects of kpk which could provide low cost electricity to consumers and could potentially balance the over all high cost of electricity in national grid. Why should Pakistan pay the outrageous high tariff of Rs 17 kWh, or 600 percent more kW per hour, when other countries are currently paying about Rs 3 kWh? Friendship should not allowed to be abused, if it is a friendship. My request to all indian brother not to comment against CPEC, Some time it is perceived negatively by Pakistani brother. Let them decide what is good for them and what is bad. I just wish all the best. This is the way Pakistan works. Nobody does their job properly in Pakistan as I as a British Pakistani have found out especially in land acquisition cases. Rupees 14 per unit!!! Pakistanis are very rich it seems. @brr Project was over priced by about 50 million dollars 150 m instead of 100-110 million. Process was not transparent. @sRI that is what every indian like you wants. @Zak Why is no one questioning tariff of 17Rs compare to international market of 4Rs per unit. Who is protecting the interest of poor consumers? @akram I agree. All countries should support solar power. However, it should be based on international tenders and not on sole source. @Sheeda Tully : All such snags are deliberately created if their share in corruption is not kept. The entire CPEC project is going to be full of snags. CPEC is not going to be a game changer for Pakistan. It will be a game for the corrupt political leaders and military generals. @Mohit (US) That's hardly over the top. Not competitive correct, but hardly over the top ! China leads the world in Solar PV panel production and they know the game better than anyone. I doubt if they will invest in Pakistan cheaper than what they do anywhere else. They are just looking for massive projects for their booming PV industry. Whether it is the cheapest or best suited renewable power project for the host nation is for that nation to decide. If Pakistani experts have said yes, people have to live with high tariffs. Do you know that China herself produces a third of its installed power capacity through a very special category of renewables ? Its called SHP or small hydro. Technically speaking, its Hydel projects less than 50 MW, though definition varies in diff countries. Thousands of such SHPs produce nearly 1.5 lakh MW power in China. I dont know what is stopping mountainous countries like India and Pakistan to do the same. We are blessed with thousands of small streams which are perfect for such projects. They are fast, cheap, easy to run, long life projects. in india private ccompanies set up solar energy plants and agreeing to sell at 4 to 6 rs. per unit to govt. govt has to evocuate. but land which is the costliest component is not given free. private parties procure at market rates! I see the rebirth taking place of the East India Company in Pakistan. Folks please cautious and don't get carried away by the government schemes. The projected cost seems to be shocking Rs. 17 pkr per unit ? Who on earth will be ready to pay this much. Where the global prices are far more cheaper (in the range of Rs. 4 to 5). I doubt if its only the Chinese who is making the most out of the CPEC. RSVP 14 per unit is reasonable. From USA S.A. HYDER, Ph.D. Some guy/guys did not get enough money or what they wanted. It is that simple. It is always a good practice to to clarify what each and every person's share will be, so the project would not get snarled some where along the road. Or is it that along the road some guy raised his/her stake due to his expenses, like building his lavish house, going up? You can't blame the official/officials for such happenings beyond their control !! @Curious , Rs.17/unit is outrageously high for poor Pakistani people, I am paying only 7.79cents /unit (about Rs.7.50/ unit Pak rupee) in New York city. Bureaucratic wrangling, but there is some person with a vision in there. A tariff od $0.14 will strangle Pakistan's economy since the ridiculously high cost of power will have to be paid by consumers and businesses, making these incompetitive. It is better to nip this tumor before it becomes cancerous. Rs 17 per unit.What a joke I get it at Rs 2.58 per unit . I thought Chinese mal one gets at cheap rates. At present Solar energy is the most pollutant energy in the world due to rare earth elements used in the production of Solar panels. These heavy elements are very toxic and require more energy to extract that it's solar output in its life time. Besides, it cost a fortune to dispose off these elements. Solar technology is still in its infancy and leaves more carbon footprint than good old cold. This is one of the reason all solar companies in States losing money. 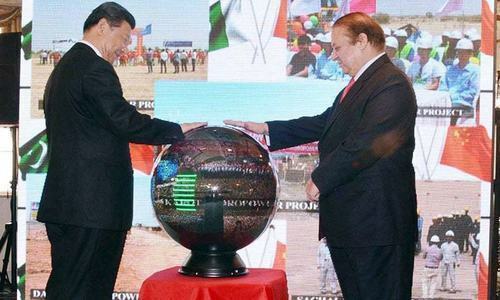 @Zak Yip, prosperity for China and additional debt burden for Pakistan. Should have waited and joined hands with India on this solar project. Many issues will rise in the future cause PM and CM-Punjab are offering Projects to Chinese companies without any bidding and are promising them for higher interest rate of return (IRR) just for the sake of their own COMMISSIONS....... NEPRA has done a great job....... Salute to Brig. Tariq Saddozai - Chairman NEPRA. Pakistan’s economic situation is similar with Bangladesh, Sir Lanka etc. We should compare the solar tariff with those countries not the other well performed countries. Our counterpart country, Bangladesh’s officially announced levelised solar tariff is approximately 17 Rupees per unit which is higher than Pakistan. 80% of solar PV panels all over the world are manufactured in China. Even though, recently Chinese companies offered record low competitive price of solar （ranging between 6-8 RMB +lucrative government subsidy, that is equivalent to 9- 12 Rupees）for certain projects in China. For the previous years the tariff of solar was much higher than the year of 2016. Currently in Our Country a majority of the electricity supply is generated from fossil fuels such as coal, oil and natural gas, these traditional energy sources face a number of challenges including rising prices, environmental concerns and security concerns over dependence on imports from a limited number of countries. Basically Pakistan is short of fossil fuels such as coal, oil and natural gas supply, the majority of fossil fuels should be imported from abroad. However Pakistan is blessed with abundant sunshine. Why don’t we utilize the self-sufficient sunshine to the maximum? Since the solar power plants can be planned and built in a short period of time which is also clean and environmentally friendly. Let Pakistanis consider their issues to be solved by their way! If it raised from our side makes suspicions for sure! The day the current Chinese Government will see the sunset! Respected generals & leaders of today will be in a queue of villains of tomorrow! Ultimate Truth: Poor public i.e. consumers have to bear the burden for ineptness and inefficiencies of the the rulers and regulators!!! @vivek . Is the electricity cost per unit is approximately INR 5 across India? Is it true? is it vary state by state? just curious. I believe corruption is unfortunately a norm in poor countries like India and Pakistan. @Zak So Zak you are willing to give guarantee that it is a teething problem and in case there is problem you will compensate the loss. You are no expert let the government deal with it. They are smarter and well informed experts to deal with these issues and problems associated with these type of deals. @NAZEER T Yes brother absolutely. The rate is indeed 5 INR per unit including most of the taxes and this is an average considering all states. The tariff varies only 10-15% for individual states and even lower than 5 INR in many low income states. I live in Gujarat which is a high income state and my current bill for 370 units is 2175 INR which includes all taxes and fuel surcharge.My other fellow Indians can give even lower figure .Wish I could scan my electricity bill and attach here as a snapshot. @Zak may friend you are always so full of hope and positive energy, you are a inspiration.